Mr Hardy has 34 years of experience as a doctor and surgeon. John is in particular an Orthopaedic and Trauma Surgeon interested in the management of knee injury to prevent arthritis, with a speciality training in the cure of coccydynia of the coccyx and the management of gout. John is young enough to appreciate and take on the new developments that benefit his patients and old enough to have enjoyed the experience of a classical training and career in the NHS in London, Leicester and Bristol at the world renowned AOC. Mr Hardy consults at the Chelsea Outpatient Centre in the Kings Road, London, the Lister Hospital, London the BUPA Cromwell Hospital, London and at the Sport and Orthopaedic Clinic in Bristol. Many of his patients say how they appreciate the time and careful assessment he gives them. It is always useful to bring with you a copy of your GP referral letter and any other correspondence concerning your medical history. Mr Hardy believes that patients often need more time than they think for an orthopaedic assessment. In 2010 he increased all of his private outpatient appointment slots to 30 minutes. If you think you need additional time please would you ask for the last appointment of the day especially If you are coming for a second opinion. Patient testimonials are the best gift Mr Hardy's team can receive. They don't take time but do help with annual appraisal. Please bring with you a list of all past and current medication. It helps Mr Hardy understand the whole of your past medical history if you bring to your appointment past investigations like X-rays, MRI, Blood Test results and the reports that go with them. The hospital should put tham on a CD for you. Mr Hardy always provides private patients with a video of their surgery. Please also bring the viseo your surgeon may have provided you after previous surgery. 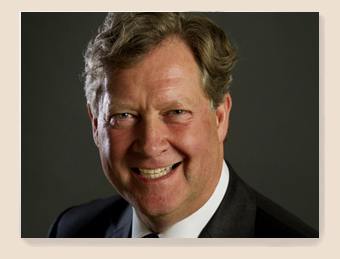 Mr Hardy is a dual national Canadian/British Consultant Orthopaedic & Trauma Surgeon recognised as a leading knee and coccyx expert providing quality primary assessments, with a growing practice in second opinion for patients on knee injury and coccydynia from all over the world who are not sure they need surgery. In 2017 Mr Hardy undertook 381 new and 733 follow up patient consultations and performed 267 operative procedures. Mr Hardy provided more patient information Advice Sheets like these on Coccydynia of the coccyx, Gout, and Anterior Knee Pain this year for his patients which are now available in these web pages. Have a look at my Russian page for the knee. This has earned him a world wide reputation in the management of the common effects of gout like arthritis. Ask Mr Hardy for his heat map of foods high, medium and low in purines that cause gout. The Management of Anterior Knee Pain is becoming much easier to treat with the advances in understanding, physiotherapy and the better equipment available. Read about the experience of just one of Mr Hardy's patients who works for the French Insurance Company AXA. He now has a pain-free kneecap. Mr Hardy prefers to prevent osteoarthritis of the knee rather than have to replace a knee joint. He has used the Oxford Knee Score before and after knee replacement for the past 12 years. 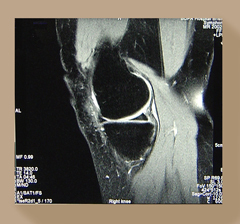 It was recently used in a recent study into the benefits of total knee replacement PROMS. Mr Hardy was concerned to see athletes suffering poor treatment for patella tendonopathy which is a common condition that is simple to cure. Read his patella tendonitis brochure for more information or read the latest article in The Daily Mail on a new technology, the Arthrocare Ambiant Wand. Also look at this recent testimonial from an FA referee. The football season is upon us and already Mr Hardy is seeing knee ligament injury including ACl injury. Most do not need surgery when managed properly. If you do need reconstruction Mr Hardy considers with you all the predisposing factors that may have lead to the injury in the first place. ACL Rehab for professional athletes and footballers. Mr Hardy was invited to the studios by George Davies (Next, Asda, Per Una) to discuss his own diagnosis and treatment on film and to create the Medial Meniscal Tear teaching video. George Davies is the owner of the Design Agency Red Creative. Mr Hardy annually reviews and publishes both his professional fees and his Standards of Care, He undertakes the annual appraisal required by the GMC. He underwent his most recent successful GMC revalidation in 2015.